We believe athletics to be a tool used in training of character and physical disciplines as well as social skills for our students, which will serve them throughout life. Heartland Christian Academy offers Basketball, Track and Volleyball to our female students and Basketball, Track and Soccer for male students. 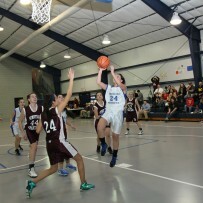 Heartland Christian Academy is a member of MCSAA (Missouri Christian Schools Athletic Association) and competes with Christian schools in this association’s tournaments as well as local Christian schools and home school groups.